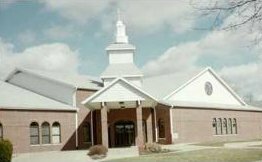 As Salem Baptist Church entered the 1990s it stayed current with changing technological trends by buying a new photocopying machine on June 14, 1990. This new technology enabled the church to print and distribute church programs with new ease. In the 2000's the church again integrated technology into its religious and community life by establishing a community technology center within which all parishioners could use digital technology. The story of technology at Salem Baptist Church is not written. It is taken place everyday as the church finds ways to use new and emerging technologies to fulfill its religious, social and educational functions. If you have a memory, story or image to share relating to the use of technology at Salem Baptist Church please share it with eBlackCU by clicking Contribute.